A fraud case in Pennsylvania that included multiple schemes against Federal Motor Carrier Safety Administration (FMCSA) safety programs resulted in a woman paying almost $4,000 in restitution to 20 victims. Continued to perform FMCSA-regulated medical exams for commercial driver’s license holders for payment after the state suspended her chiropractic license in 2013. The woman pleaded guilty to wire fraud and false statement charges in November 2017. The FMCSA, the Pennsylvania State Police, Cumberland County District Attorney’s Office, Pennsylvania Department of State, and the Pennsylvania Department of Transportation provided assistance into the investigation. 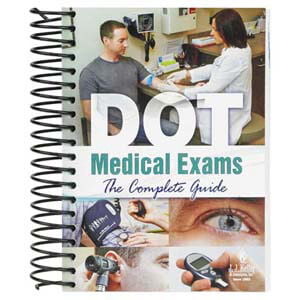 J. J. Keller's DOT Medical Exams: The Complete Guide is a comprehensive medical exam reference for motor carriers, drivers and medical professionals.